Quantum Quilting is a small husband and wife quilting company which started in a quaint workshop near Titchfield Abbey, Fareham. They have out grown the original studio and now have a bigger more modern studio off Newgate Lane in Fareham. 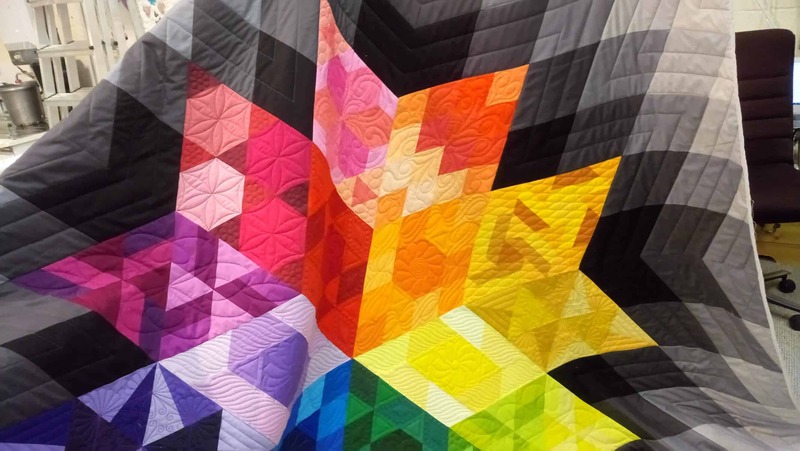 Shelley and Keith Faulkner are passionate about their quilting, using the devotion for quilting and sound business acumen, they have created a very special quilting company. 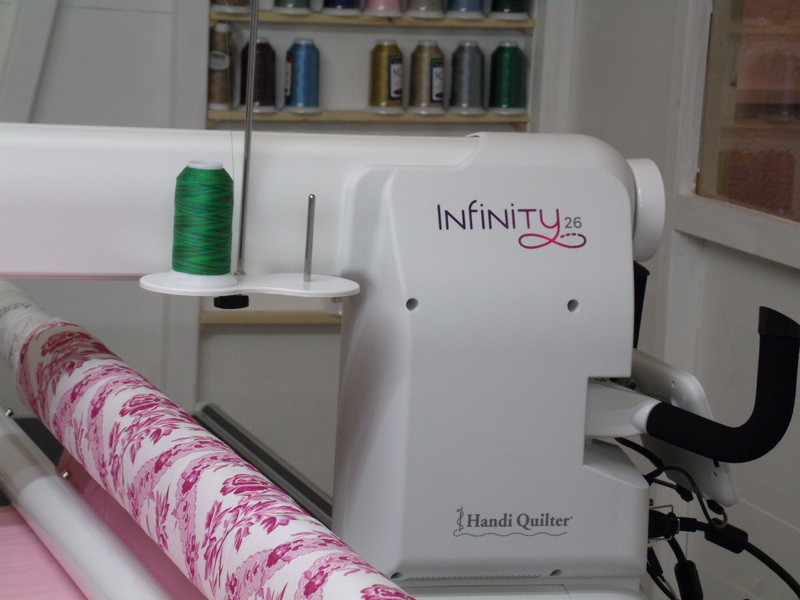 At Quantum Quilting they do longarm quilting on a Handi Quilter Infinity, on a 12’ gallery frame, with a 26” throat. The machine operates with the Pro-stitcher program, which is a really powerful computer program with hundreds of designs and design options. This machine is the latest in technology and was introduced at the Festival of Quilts in Birmingham in 2015. Part of the upgrade to bigger premises has been the exciting acquisition of another Handi Quilter machine. This time and Avante, which also comes with the same computer program as the Infinity.